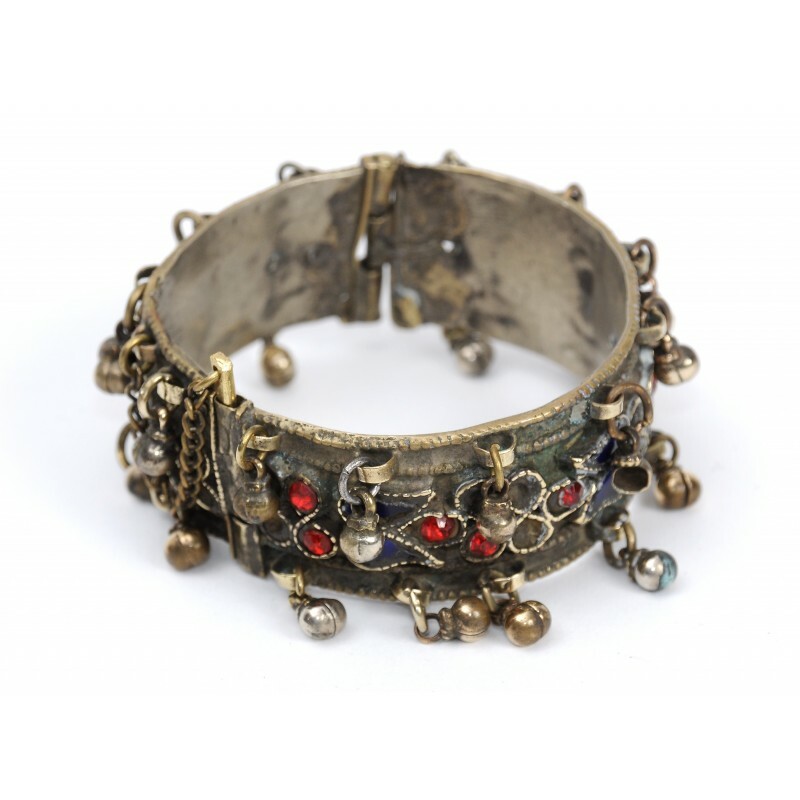 A stunning piece of wearable art. 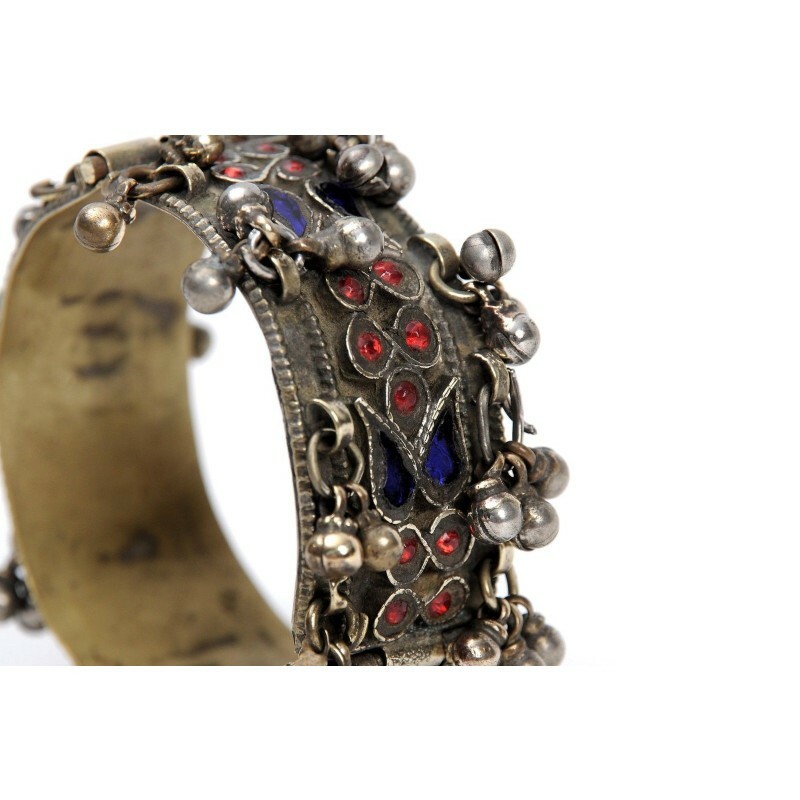 This ethnic vintage bracelet features red and blue semi-precious stones. 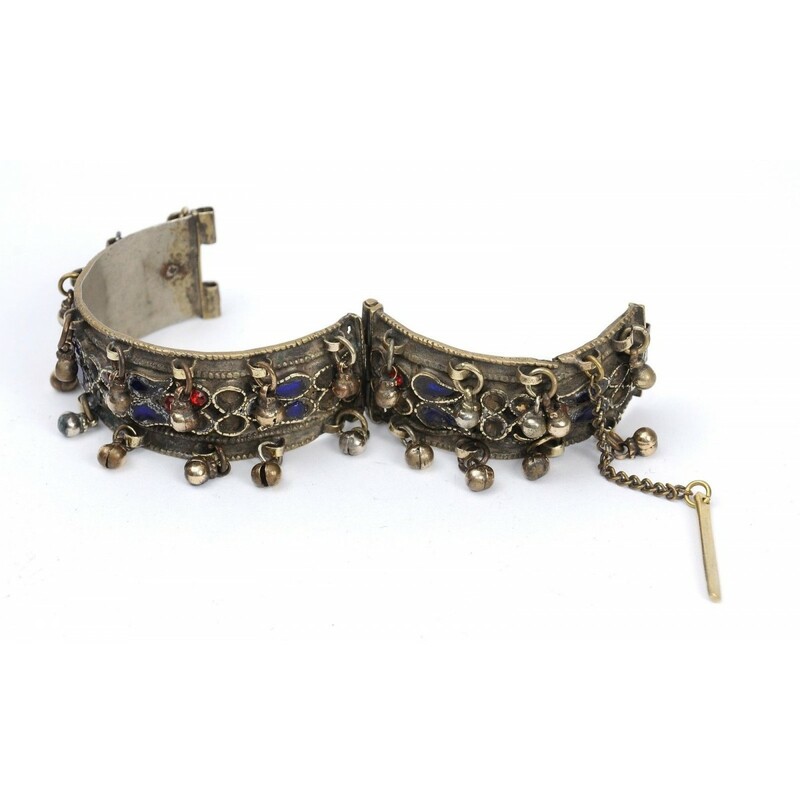 The bracelet features tiny bells on both sides that create an exotic oriental sound whenever it is moved. Sure to turn heads, wear this statement bracelet with a simple black maxi dress for the ultimate trendy look. The bracelet could be opened by pulling a safety catch, tied with a little chain. 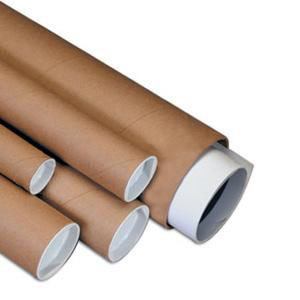 Diameter when closed 5.5 cm.